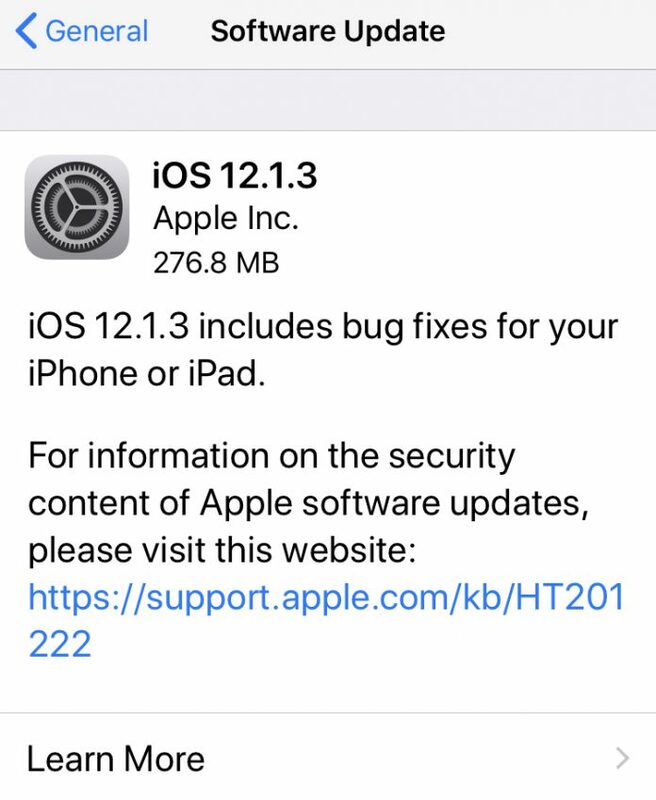 Apple launched its latest iOS update 12.1.3 on Tuesday, January 22, and iPhone, iPad, and HomePod users have been enabled to fix bugs on different apps. Included among these ‘bugs’ is one that apparently let hackers control FaceTime calls. Don’t panic. Just update your phone as soon as you’ve done reading this. Usually, most of us skip the fine print when we update software on our devices, thinking it’s no big deal, just a necessary thing we have to do to keep our phones fast and updated. But the information on the security content of iOS 12.1.3 is alarming indeed, especially in this day and age when we want to keep our information safe, and a hack could cost a lot of damage to us, to our wallets and even emotionally. iPhones and other Apple gadgets have an app called FaceTIme, used for video calling. Unbeknownst to the millions of Apple users all over the globe, a bug in the app made it vulnerable to hackers, who could make calls from the app remotely. Fortunately, according to Apple’s tech support page, this problem has been addressed. According to UK’s DailyMail, hackers could have used the bug to insert malicious code through FaceTime, and now they can no longer do so. A similar explanation can be found in the section under Bluetooth, which also received an update. There were also ‘malicious application’ bugs fixed in CoreAnimation, iOKit, Kernel, and libxpc. Bugs concerning ‘maliciously crafted web content’ that could lead to “arbitrary code execution” were also addressed for other applications. Read also: If China boycotts Apple, will Singapore follow suit? China boycotts Apple, will Singapore follow suit?